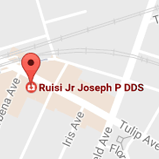 Dr.Ruisi is an orthodontic specialist committed to providing advanced and comprehensive orthodontic treatment for patients of all ages.He has been in practice for 38 years in the Floral Park area and has treated well over 10,000 patients. He is now treating second generation patients who say " they would go no where else". Dr. Ruisi loves his work and takes great pride in delivering the highest level of patient care possible with the latest in new and exciting technology. 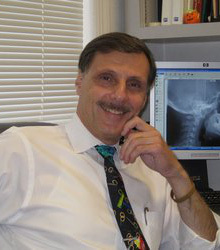 After receiving his degree in Biology, with honors from St. John's University, Dr Ruisi completed his dental training at Columbia University and earned his Doctor of Dental Surgery degree in 1976.Upon graduation, Dr. Ruisi was inducted into the prestigious National Dental Honor Society, Omicron Kappa Upsilon. He was fortunate enough to be accepted in advance to Columbia University's highly competitive orthodontic residency program before graduating from dental school and graduated a year early in 1977. Dr. Ruisi is a Clinical Professor in Orthodontics at Columbia University School of Dental Medicine, Department of Orthodontics at Columbia Presbyterian Hospital and has taught Orthodontics for over 15 years. He recently was awarded in 2014 the Alumni of the Year Award by the Columbia University Alumni Society and was chosen 2012 Top Dentists on Long Island by his peers. Dr. Ruisi donates an orthodontic case every year to St. Gregory's School in Bellerose, Our Lady of Victory School in Floral Park and the Hance Family Foundation in Floral Park. Dr. Ruisi is active in sports including, tennis, golf and basketball. He is involved in many civic associations, is an active sponsor of the Floral Park Little League and is a past support leader for the Crohn's and Colitis Foundation. He loves rooting for the N.Y. Yankees, N.Y. Jets, N.Y. Rangers and his beloved Notre Dame University.